Great image and coloring! Love the BG pp with the words and the cool snowflakes you used. Great job with the challenge. 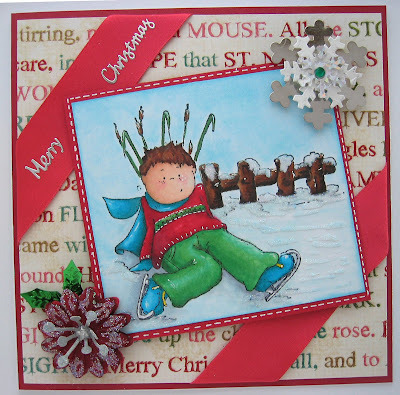 Very cute card; that would definitely be my most-used position if I were on ice skates! LOL! Wasn't crazy for this color combo, but had fun with it!